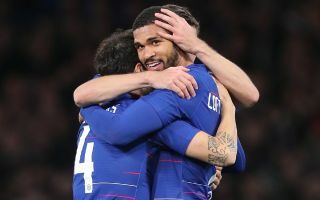 Chelsea midfielder Ruben Loftus-Cheek has admitted it’s been a tough season for him since returning to Stamford Bridge after a year out on loan. Loftus-Cheek spent last season with Crystal Palace, playing week in, week out in the Premier League and earning an England place at this summer’s World Cup in the process. The 22-year-old has long looked an exciting talent coming through at Chelsea, but the west Londoners aren’t exactly renowned for giving academy players a chance in the first-team over more proven names. Despite some more opportunities lately, Loftus-Cheek admits it’s been tough going from playing regularly with Palace to being a squad player for the Blues as the Daily Mirror report of a long list of clubs showing interest in him. The report links him with former loan side Palace, as well as with Bournemouth, Newcastle and West Ham in the Premier League, plus Bundesliga side Schalke. It is not clear what the England international will choose, but he did admit it’s not been easy for him this season in a possible nudge at his manager to play him more. “Every player goes through tough times. From playing a lot to not playing a lot is tough,” he said. “I have a good family and friends who help me when times are tough which is always good for me. Also I am strong individually to know what I want in the future. I will always believe I will get to where I want if I keep my head down. “I try not to think too much about the future. I can’t think that far ahead [to the end of the season], I can only think about what’s happening right now. It is a difficult period coming up where we have to be fully focused.